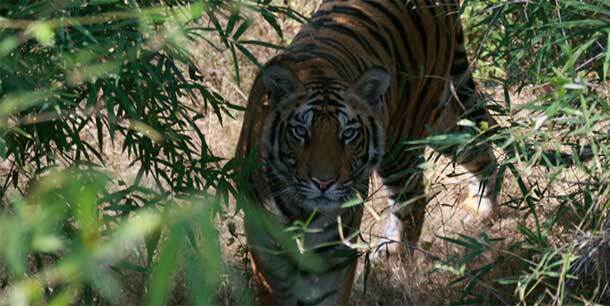 The first time I visited Bandhavgarh National Park in central India I had seen only one tiger and it was on the final day of the trip. We saw the sub-adult female upon a rocky outcrop. She slipped down behind our vehicle on to the road and began padding downhill. The driver-ranger shifted into reverse and we followed at speed in our four-wheel-drive along the steep winding road. 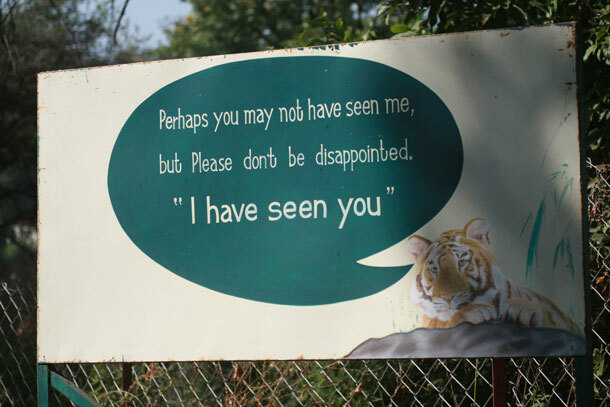 Then the tiger switched direction into the forest and was gone from our sight. It was a spectacular encounter that lasted a few minutes but it was chaotic too. I was aware that if I had been filming on that occasion it would have been tough to get any decent footage amid the frenzy of a fast-moving vehicle in reverse and the very loud company of other tourists. I was in no doubt that my next visit -- this time, filming on assignment -- I had a tough challenge ahead. During the first couple of days I already scored a few sightings from the open-topped vehicle. The tigers had not been very close nor were the animals in the open but it was a promising start. On the last day I had a different strategy. 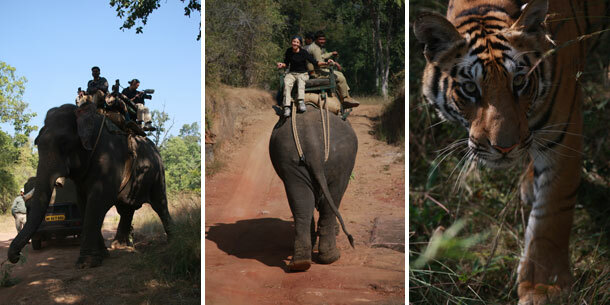 Instead of travelling in a noisy vehicle I clambered up and on the back of an elephant. I hoped this quieter, more natural approach would present me with a more intimate encounter. The great advantage to tracking with an elephant is that they are allowed to move off-road into the forest. But what I did not anticipate was the wildly unsteady gait of an elephant nor the violent swinging and swaying which accompanies their continuous foraging. Our elephant was constantly tearing at plants and branches before vigorously munching the foliage -- which used his entire body. I could barely keep myself on the elephant’s back or the camera in my hands let alone hold the camera steady for a sustained period. My best footage was of one young male which the mahout (elephant owner) had tracked down amid thick undergrowth -- miraculously, it seemed. The tiger was so close -- immediately below me at the elephant’s feet -- that I had to lean backwards to ensure the animal stayed within the frame of my lens. 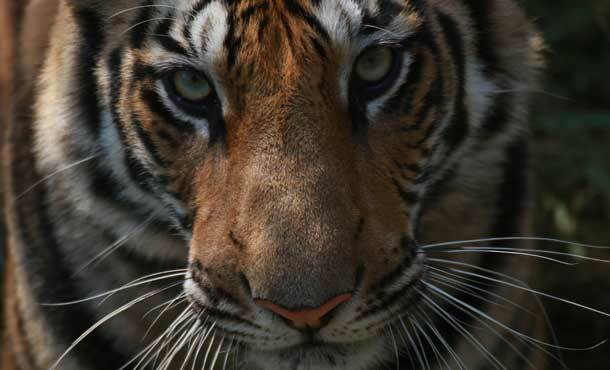 The tiger stared up at the camera. I pressed record. The image was almost perfect -- were it not for the elephant choosing that very moment to rip into a tree and shake his backside! Then the tiger switched his gaze from my lens to the elephant’s swinging tail. His eyes moved hypnotically from side to side following the tail’s movement. It was just like watching a domestic cat following the tail end of a ball of wool. I watched as he began clearly to stalk the backside of the elephant. I gingerly raised my dangling legs. The mahout cried out as the tiger was about to throw out s paw -- and the tiger instantly and swiftly retreated. I had not managed to film the scene well because the elephant had again been mischievously uncooperative at that exact moment but I hoped I had enough footage to prove how close tiger encounters can be from the back of an elephant. I also hoped my editor might be able to piece something together from my crazy snatches of very wobbly film.